A view of Wednesday's successful test launch of the newly developed intercontinental ballistic rocket Hwasong-15 is seen in this undated photo released by North Korea's Korean Central News Agency in Pyongyang. North Korean leader Kim Jong Un views the Hwasong-15 missile in this undated photo released by North Korea's Korean Central News Agency. The intercontinental ballistic missile that North Korea launched on Wednesday appears to be significantly larger and more powerful than previous versions, according to independent analysts. "It's a monster," says Vipin Narang, an associate professor at MIT who tracks the North's nuclear capabilities. The missile is so much larger than previous versions that Narang suspects it could carry a powerful thermonuclear weapon, regardless of whether the North has managed to make a compact, missile-friendly version. "They wouldn't have to miniaturize much," Narang says. Other analysts are less sure about what the missile could carry and where it could reach. David Wright, a rocket expert at the Union of Concerned Scientists, says the devil remains in the details surrounding the rocket's engines and the weight of the warhead it carries. Still, he believes that this missile gives the North Koreans the ability to deliver a nuclear warhead to U.S. soil. "I think at this point they could," he says. Earlier this year, the North tested a massive nuclear weapon with a yield of 100-600 kilotons — roughly 7 to 40 times the power of the bomb dropped on Hiroshima, Japan. The size and weight of that device is unknown, but there were reports in August that the U.S. Defense Intelligence Agency believed North Korea has had success miniaturizing some of its lower-yield nuclear weapons. The new ICBM was launched early Wednesday local time. It shot up to an altitude of 4,000 kilometers and flew for 53 minutes before plunging into the Sea of Japan. After the launch, North Korean media declared the nation had successfully tested a new "Hwasong-15" ICBM. Based on the height and duration of Wednesday's flight, Wright believes the Hwasong-15 could travel 13,000 kilometers. That would put all of the continental U.S. within range. He cautions that the weight of a real warhead could cause the missile's range to shrink considerably — but even by his most conservative estimate, the missile could hit cities along the U.S. West Coast. 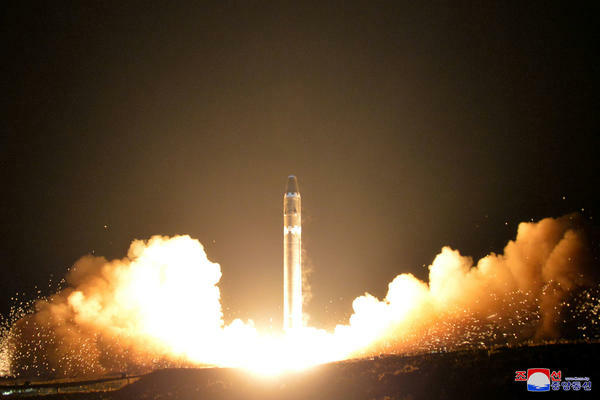 The North has been known to give new names to missiles that have only minor modifications, but in this case "the rocket is clearly something new," Markus Schiller, an aerospace engineer with the German company ST Analytics, said in an email. The North previously conducted two tests of an ICBM called the Hwasong-14 in July. In addition to appearing to be far larger than that missile, the Hwasong-15 also looks like it has more powerful engines, Schiller says. He also believes the North has learned how to "gimbal" the thrust chambers on the bottom of the engine — an advanced way to steer the missile that North Korea has never used before. Schiller says he believes the missile could accommodate a payload of 2 metric tons or even more. The missile's nose is so large that Narang believes it might even be able to hold decoys that could fool U.S. missile defenses. 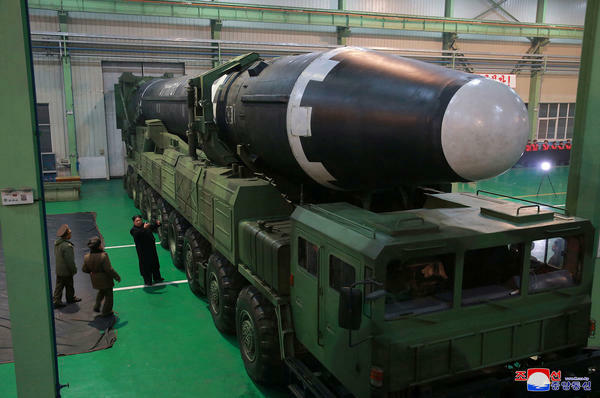 Even with these advances, many questions remain about the North's missiles and nukes. It's unclear whether the country has perfected re-entry technology that would allow a warhead to survive the final leg of its journey toward its target. Nor is it known how the North's nuclear weapons would tolerate the stresses of being launched aboard a rocket. But Narang says this new missile unambiguously puts the U.S. within range. And given what's known about the rest of North Korea's weapons program, he says, it's better to err on the side of caution. He says, "We have to assume that this thing can park a warhead on the Eastern Seaboard."